Recently, I downloaded some IT software on my Windows PC and the files were all .BIN and .CUE files. In order to work with them, I needed to convert the BIN files to ISO and mount them as a drive. MagicISO is a cool program that can convert BIN files or any other format file created by CD burning software to ISO, but it’s not free. But it got me thinking that there should be a free way to do this also.I found some free software that you can use to do the conversion quickly. 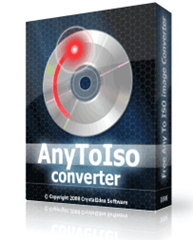 AnyToISO Converter is a free ISO converter that supports many different formats and converts them to the ISO format. To be a little more specific, it can convert BIN, PDI, MDF, NRG, CDI, B5I, and IMG images to ISO. It’s also pretty fast and gets the job done while only being 157 KB in size. However, the best part is the it’s portable too! Now installation is required, so you can just dump it on a USB stick and convert images to ISO any time you want on any computer.Click here if you want know how to make Portable Appz. Just choose the Source Image file and give the resulting ISO file a name and click Convert! Wait a little while and your ISO will be ready soon. Also, if you are not running on Windows, but maybe UNIX or Linux, then you can use a different program called bchunk to convert .CUE and .BIN files to ISO. That’s it! So whether you are running on Windows, Linux, or UNIX, you can now convert BIN files to ISO for free! Enjoy!